Positioned in the popular and sought after "Nautilus" apartment building this spacious apartment has been totally refurbished with polished timber floors and clean white neutral decor. Positioned at the rear of the building enjoying views of the Cathedral and city, also offering the lifestyle and all the benefits our beautiful Harbour foreshore delivers, at a fraction of the price a front unit with a Harbour view would command. 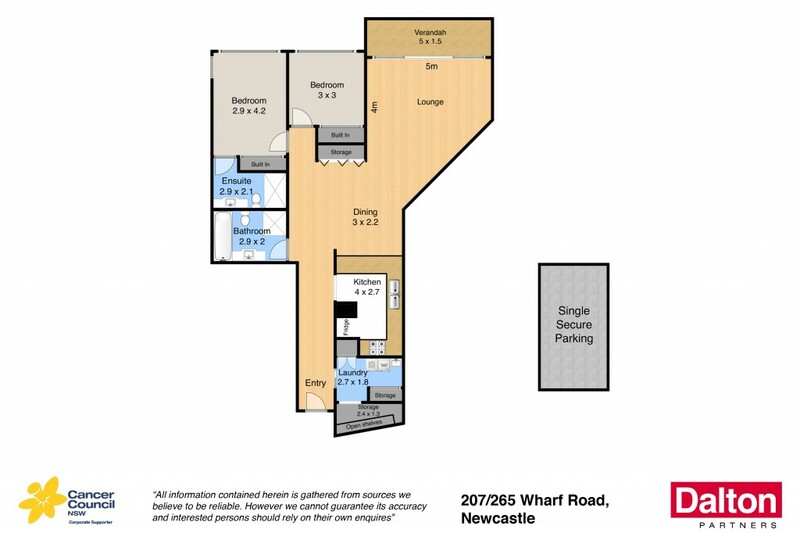 * Newcastle's beautiful harbour is approx 40 metres from entry foyer. * Spacious 118m2 approx apartment offering stylish refurbishment. * Entry hall leads to open plan living with large kitchen. * Enhanced by white timber shutters, ensuite and built in robes. * Split system air conditioning, large laundry with multiple storage areas. * The style and impression of this apartment is sure to impress. * Enjoy a casual easy care and affordable harbour lifestyle right here.